Samplers were considered valuable; they were often mentioned in wills and passed down through the generations. The first written mention of a sampler is in 1502 in an official court document. Among the household expense accounts of Queen Elizabeth of York, wife of Henry 7th, there is a note that reads: ‘the tenth day of July to Thomas Fisshe in reward for bringing . . . an elne of Iynnyn cloth for a sampler for the Quene’. An ‘elne’ or ell is a measurement based on the elbow and is about 45 inches. It is thought to be the span between two outstretched elbows. At the time, the length of a sampler was determined by the width of the loom used to weave the linen ground, the width of the sampler being determined by the stitcher. This made it easy to roll up the sampler for storage when it was not needed. The linen purchased by the queen was probably used for a ‘band’ sampler, which was made by stitching bands of patterned stitches across the width of the linen, each one stacked on the previous with no regard for an overall design. The bands could be simple or elaborate and often did not extend from edge to edge. Over time the sampler grew as new bands were added. The main purpose of these early samplers was to record stitches and motifs for later reference. The earliest surviving signed and dated sampler is a combination of a band and spot sampler. 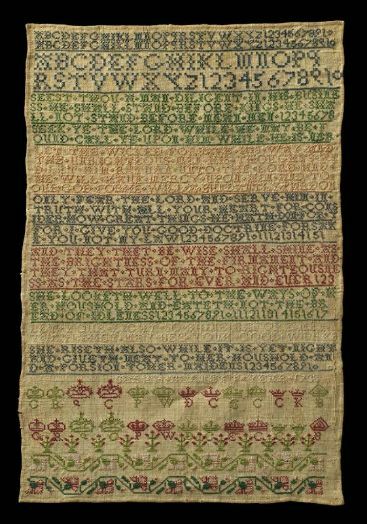 This sampler was stitched in 1598, by Jane Bostocke and includes a commemoration of the birth of her cousin, Alice Lee in 1596. 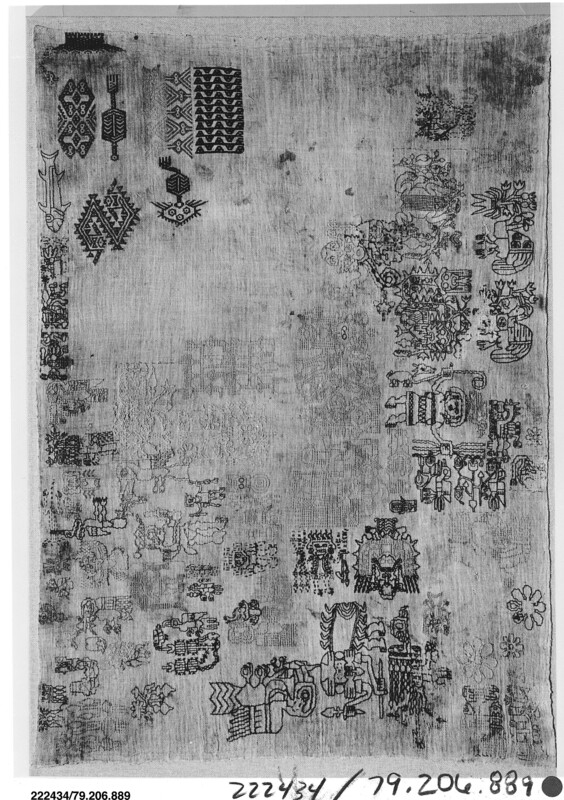 You can see the bands of stitching stacked one on top of another on the bottom 2/3 of the sampler, with individual motifs covering the top third. These motifs refer to Jane’s family’s heraldic crest. You can see that there is additional room for Jane to add more motifs. 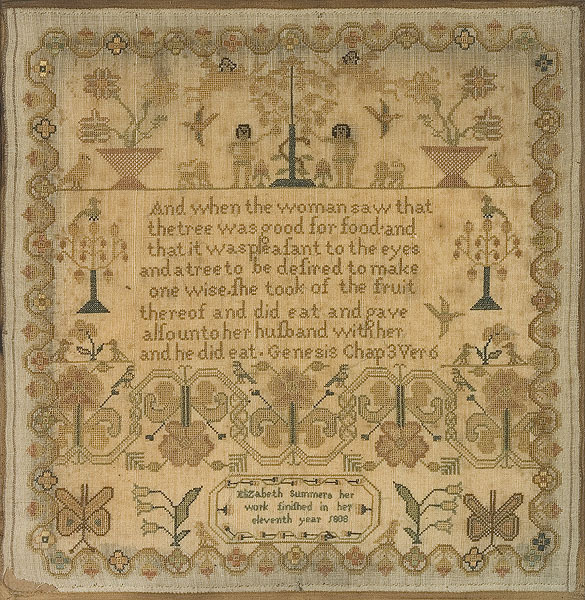 When Jane visited a friend she could copy a motif or band from her friend’s sampler by stitching it out on her own sampler, and then use the image in her work when she returned home. As there were no printed patterns at the time, this was an effective way of spreading design ideas. It is easy to see how this sampler could be used as a reference for other stitching and how Jane used the space available to best advantage. Band and spot samplers continued to be popular until commercial patterns became commonly available. 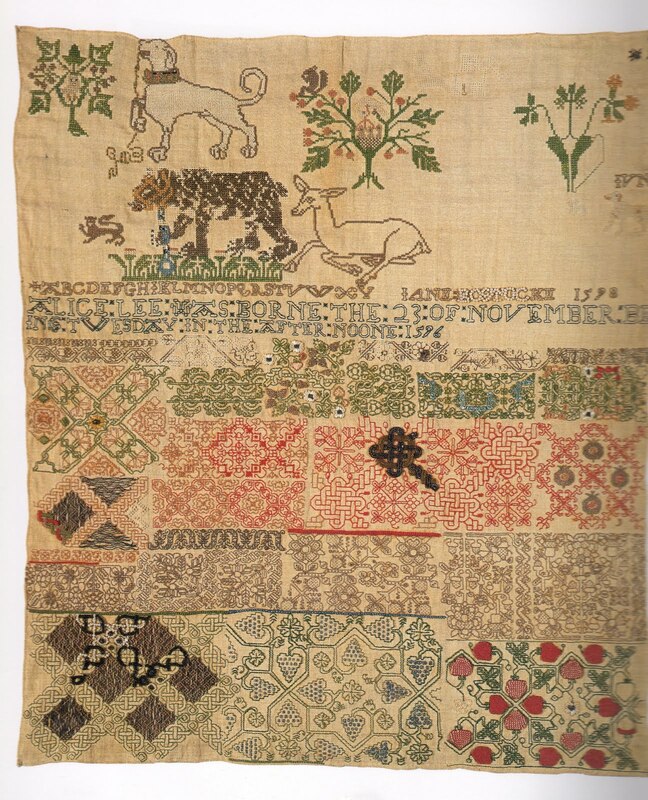 Thanks to the Victoria & Albert Museum website for the image of this lovely sampler. Hi – I am Dawn Peschke and I would like to Thank You for stopping by DP Stitchin’. I love to stitch and hope to share my excitement with you. I started this blog so that I could share some of the cool things I have learned about embroidery and connect with others who share my love for this work – no matter where in the world they are. I know I am not the only one out there who is crazy about stitchin’, so introduce yourselves – I would love to get to know you. I took a degree in Studio Art with most of my work being done in the areas of Teaching & Textiles, but I also have a strong interest in Art History. I think it is important to understand the role that embroidery in all its various forms, has played throughout history. The work of our sister stitchers* becomes a resource for our own work and connects us to our stitchin’ roots while acting as a window into their worlds. So, join me on my journey . . . the adventure begins! *yes, I know there have been guys involved at times, but we both know that stitchin’ is still mostly a gal thing, which is too bad. Gonna have to do somethin’ about that!